The link below is to an article reporting on the discovery of over 50 new species of spider in Queensland, Australia. The link below is to an article that reports on the discovery of a fluorescent frog in Argentina. Scientists have described around 1.5 million species on Earth – but how many are still out there to be discovered? This is one of the most heated debates in biology. Discounting microbes, plausible estimates range from about half a million to more than 50 million species of unknown animals, plants and fungi. This biodiversity matters because it could be used to fight human diseases, produce new crops, and offer innovations to help solve the world’s problems. Why is there so much uncertainty in the numbers? The biggest reason, I argue, is that a lot of biodiversity is surprisingly hard to find or identify. This has profound implications for nature conservation and for our understanding of life on Earth. We find new species every day but the organisms that we’re now discovering are often more hidden and more difficult to catch than ever before. Not surprisingly, the first species to be described scientifically were big and obvious. The earliest naturalists to visit Africa, for instance, could hardly fail to discover zebras, giraffes and elephants. But recent discoveries are different. For instance, lizard species found today are generally smaller and more often nocturnal than other species of lizard. The tiniest of them, a thumbnail-sized chameleon from Madagascar, was discovered just a few years ago. 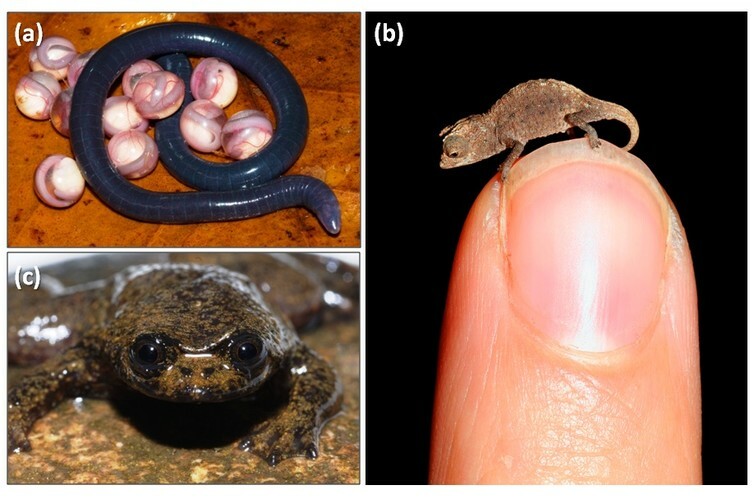 Three newly discovered species: (a) a snake-like amphibian from India; (b) the world’s tiniest lizard, and © the only lungless frog species. Other unknown species are notoriously difficult to capture. For example, a biologist friend of mine was visiting his mother-in-law in north Queensland when her cat strolled in with an odd-looking animal in its mouth. He wrestled the cat’s dinner away and found that it was a mammal species never before seen in Australia called the prehensile-tailed rat. Now known to be quite common in the Wet Tropics, this tree-dwelling rat almost never enters conventional wildlife traps. We can thank my mate’s mother-in-law’s cat for the discovery. Other poorly explored places where new species wait to be discovered include the deep sea, soils and caves. After spending some 1,100 hours digging holes in the ground, biologists stumbled over the first species of Indian caecilian, a primitive, snake-like burrowing amphibian never before seen on the subcontinent. On a far-flung beach in Alaska, a dead animal that washed ashore just last year turned out to be a completely new species of whale. A frog species discovered in Borneo is the only frog in the world that completely lacks lungs. 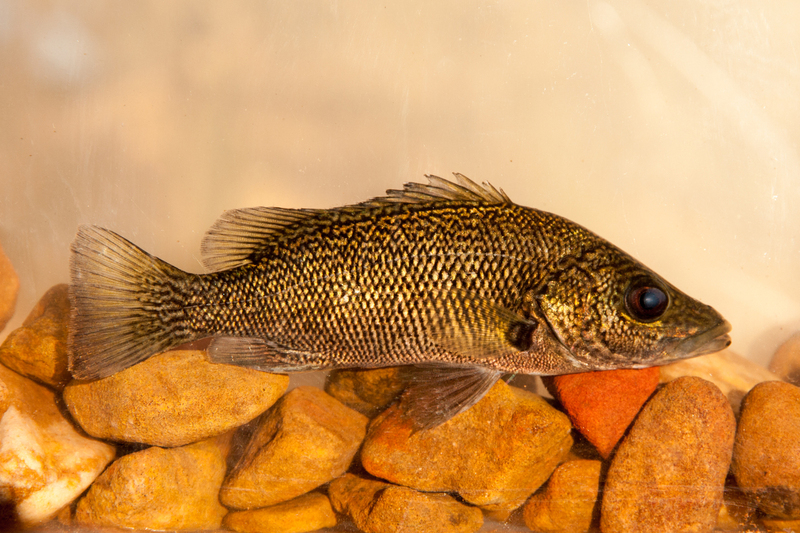 It lives in fast-flowing streams that are so oxygen-rich that it can breathe solely through its skin. And a newly discovered spider in Morocco has evolved to move and escape predators by somersaulting over sand dunes. High on the list of places to discover new species include rainforest canopies. 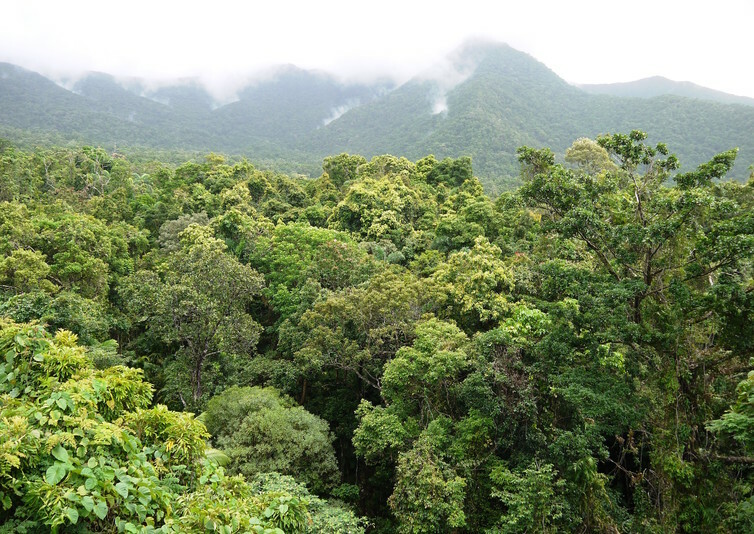 In the early 1980s a Smithsonian Institution ecologist, Terry Erwin, used an insecticidal fog on several trees in the Panamanian rainforest and was stunned by his findings. Most of the insects that fell to the ground were entirely new species. Based on quick calculations he estimated that there could be 30 million species of insects residing in the canopies of the world’s rainforests. Erwin’s conclusions, as it would be expressed today, went viral. In one fell swoop he had increased estimates of global biodiversity at least tenfold. Most biologists today consider his original estimate too high, however some believe he only overestimated a little. Rainforest canopies are one of the world’s great biological frontiers. Beyond species that are difficult to find or catch, a lot of unknown biodiversity is staring us right in the face but we simply can’t see it. 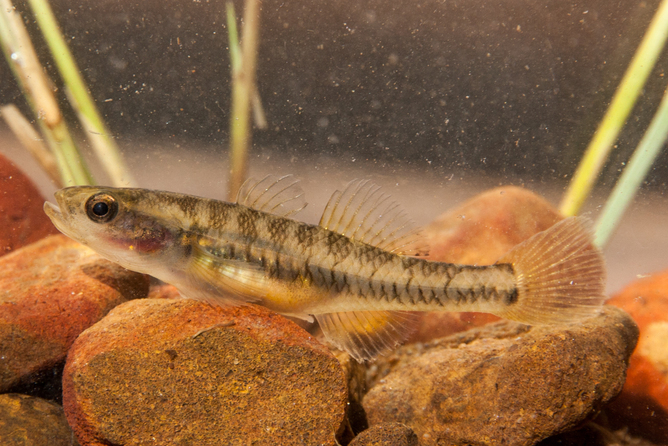 For these species, new discoveries are down to advances in molecular genetics. Around 60% of all new organisms described today are so-called “cryptic species” that are nearly indistinguishable from one another. In recent years, for example, we’ve discovered that Africa has not just one species of elephant but two. Formerly considered different subspecies, genetic analyses reveal that they’re as dissimilar to one another as the Asian elephant is to the extinct woolly mammoth. 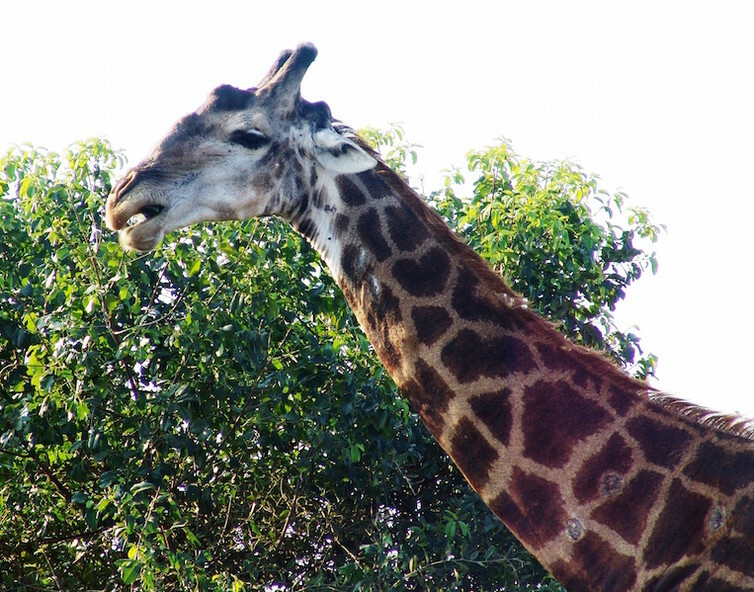 Genetic studies have also revealed hidden variation among Africa’s giraffes. Just last year, researchers revealed that what was once considered a single species of giraffe is actually four. And in Costa Rica, one putative species of butterfly turned out to be at least ten. Genetic studies have revealed that one apparent species of giraffe is actually four. Molecular genetics is turning biology on its head in other ways. Organisms we used to think were only distantly related, such as antelopes, dolphins and whales, are practically cousins in evolutionary terms. One last reason why many species are yet to be discovered is that they only live in a small area of the world. Known as “restricted endemics”, these species are geographically concentrated in certain regions such as tropical mountains, islands, and climatically unusual environments. 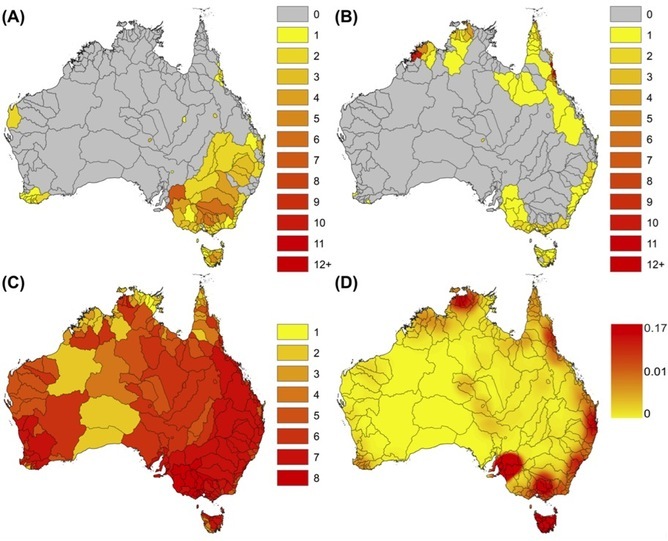 Most of Earth’s restricted endemics reside in “biodiversity hotspots”, defined by having more than 1,500 locally endemic plant species and less than 30% of their original habitat remaining. Of 35 currently recognised hotspots, half are in the species-rich tropics with the remainder divided among Mediterranean, islands and other ecosystems. 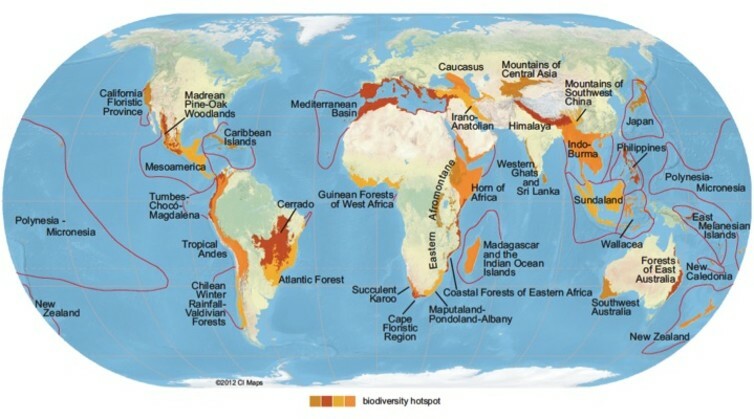 The world’s 35 recognised biodiversity hotspots. Today, the bulk of new species are being discovered in the biodiversity hotspots. The scary thing is that our recent analyses show that more than half of all hotspots have already lost over 90% of their intact habitat. Further, most hotspots occur in poorer nations with rapidly-growing populations and escalating social and economic challenges, creating even greater pressures on their already beleaguered ecosystems and species. Taken collectively, these studies suggest that there’s an enormous wealth of biodiversity on Earth left to discover and that much of it is in danger. Further, our present knowledge is just scratching the surface. Evolution has had billions of years to create biologically active compounds that can combat human diseases, generate genetic diversity that could save our food crops from disastrous pathogens, and spawn ecological innovations that can inspire marvellous new inventions. What a tragedy it would be to lose this biodiversity before we have ever had the chance to discover and learn from it. 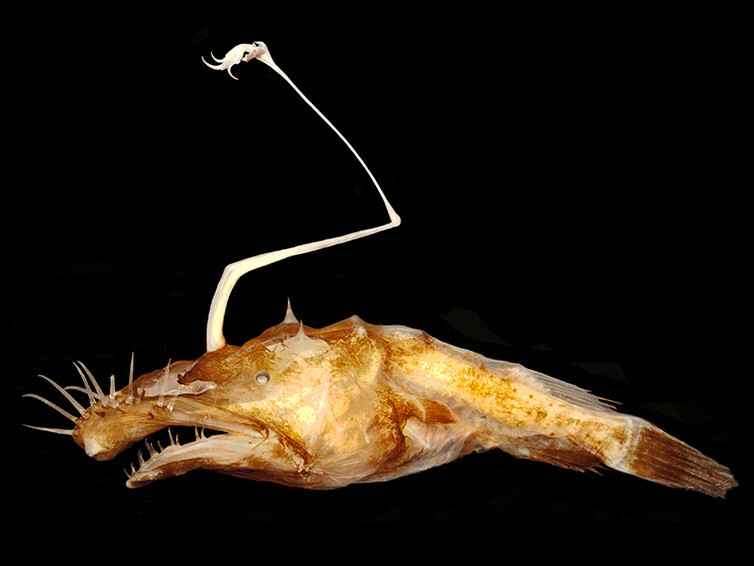 A new species of Anglerfish discovered this year in the Gulf of Mexico. This bizarre fish has bioluminescent algae in the ‘fishing pole’ above its head to attract prey. The long-nosed sooty grunter is found in a single river in the Kimberley. Map a) shows the number of currently listed threatened fish. Map b) shows the number of species that we identified as potentially vulnerable. Map c) shows river condition (1=best quality; 8=worst). Map shows d) freshwater fish research effort across Australia (red=most effort).